Pershore Volunteer Centre puts volunteering at the heart of the community to reduce rural and social isolation for local people. Pershore Volunteer Centre was established in 1984 and became an independent local charity in 1985 (no. 516080). We support local residents experiencing rural or social isolation and provide volunteering opportunities for individuals wanting to support their local community and improve the quality of life for themselves and other people. In 2016 new legislation enabled us to become a Charitable Incorporated Organisation (no. 1166141). We have also received accreditation as a volunteer centre by the National Council for Voluntary Organisations (NCVO). The Volunteer Centre’s activities are overseen by a Board of Voluntary Trustees. Our overall aim is to place volunteering and well-being at the heart of the local community. Recruitment of volunteers and promotion of volunteering opportunities and supporting voluntary and community groups to recruit and manage volunteers. Providing a Community Transport Service for residents unable to use public transport. Our volunteer referrals make a significant contribution to the sustainability of local organisations and their impact on the local community. With our in-house team of around 80 volunteers we regularly provide more than 7000 journeys each year to enable people with transport difficulties to access essential services such as medical appointments as well as shopping, social or leisure activities, and attendance at our recently established lunch club is increasing steadily. In recent years our financial support from central and local government sources has significantly reduced and we are largely dependent on applications to charitable trusts and fundraising activities to ensure our sustainability. Our membership scheme encourages local residents and community groups to support our work and use our services. We are a partner in Community Travel Worcestershire, a consortium of local Community Transport organisations who provide transport by car, minibus, MPV and accessible vehicles throughout Worcestershire. 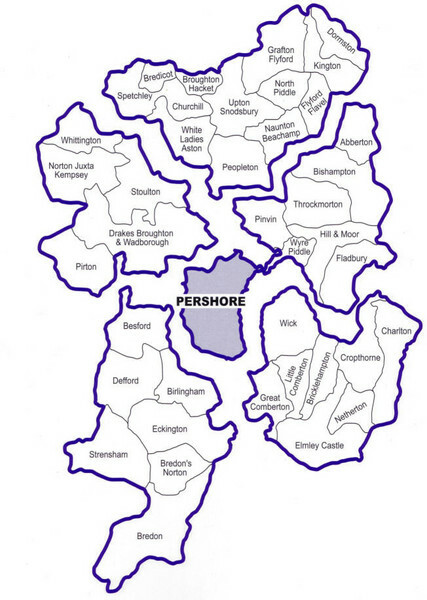 Our Community Transport Scheme covers Pershore and the surrounding area as shown on the map.